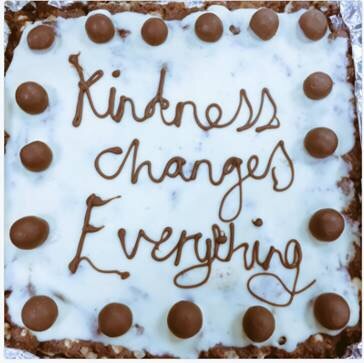 A most lovely colleague who I have come to admire more and more for her generosity and authenticity, told me she’d made a tray bake for a recent event at work. She sent me the photo. And knowing her – I bet it tasted just as good as its most wonderful sentiment made me feel.